Millions of Christians around the world are under stress, they are hurt, confused, they feel lost, they are worried about loved ones and much more. Prayer is our weapon against the concerns of the world. Prayer gives us access to God and God hears our prayers and comes to the rescue. God doesn't take away our troubles but he helps us get through them. He provides comfort for the hurting, peace for those under stress, He give hope to the hopeless, guidance for those who don't know where to turn, healing and strength. He also provides protection for us and our loved ones. The Prayers below can be downloaded. They are in Word format so you can make any changes you desire to meet your personal needs and preferences. 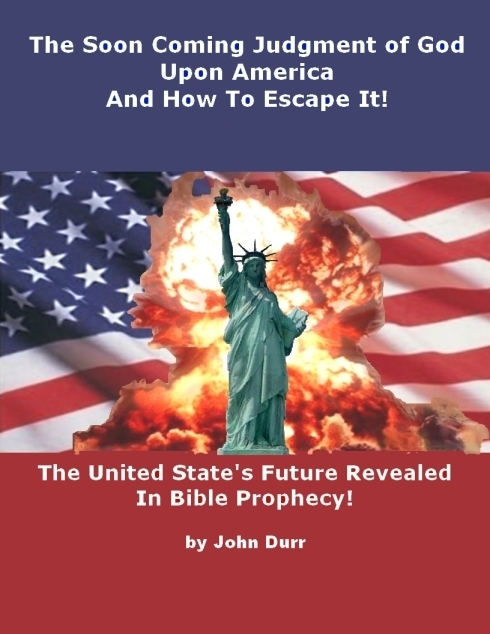 This book series is A Revelation Warning Concerning the United States From God's Word. You'll be amazed at what God has to say about the United States of America and how accurately he describes the USA in Bible prophecy. For the first time America's little known history is used to prove that America is the Babylon of Revelation 17 and 18 which God will destroy! This may be the most important book you will ever read!